I absolutely love Best Press but don't particularly love the price. Even when using Joann's 50% off coupons, I tend to go through it quickly. A while back I also found a recipe for a spray starch, known as Gram's Spray Starch, that I'd been wanting to try so I decided to make up a batch of each and try them both out. First off, let me apologize for not being able to link back to my original sources for each recipe. 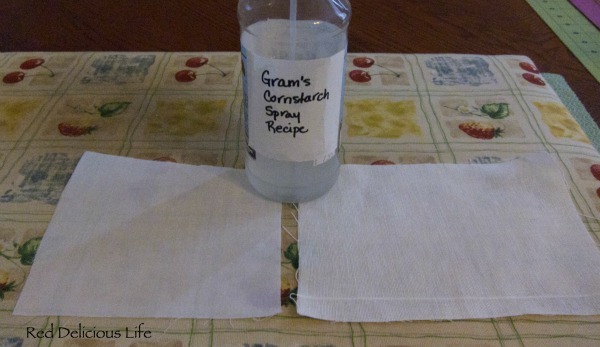 There are several similar ones for best press (just do a search on pinterest) but the recipe I have for Gram's Spray Starch was an old pdf on my computer with no reference back to a website and whomever typed that document up also mentioned not being about to find the original source. This recipe takes minutes to prepare - just mix everything into a spray bottle and you're ready to go. One thing I would definitely change is the amount of lavender oil used. I think 7-8 drops would have been plenty. You could also substitute another essential oil, like lemon or orange if you prefer. Here are 2 fabric swatches, before. The one on the left is muslin, the one on the right is decor weight curtain fabric. Both fabrics ironed up beautifully and it smelled awesome. Now I know some people might be questioning using vodka. I've actually heard that some people use straight vodka as a spray starch. My guess is that since vodka is typically made from potatoes, it has natural starch properties. For the record, I used very CHEAP vodka. I'm not recommending that you use Gray Goose or Skyy. That's just crazy talk. Cook for about 2-3 minutes, whisking constantly. Mixture should be opaque in color. While this spray took a bit of effort, I actually liked it better. It made the fabrics a bit crisper without being flaky. There are a few things to note though, and a few things I will change in the future. First, you need to make sure that you shake the bottle before every use to make sure that it's good and mixed. Second, I would add more vodka, probably 1/4 cup like the Best Press recipe. The vodka in this recipe seems to act as a preservative, which is needed. After sitting for a few days not being used, it started to smell a little funky. Another option would be to only make half a batch so it wouldn't sit around and get a chance to turn rancid (if that's what it did). I would also add a few drops of the lavender essential oil too, just because I like the scent. I will definitely be making both but using them for different purposes. For general ironing of fabrics, shirts, and most quilt piecing I will probably use the Best Press recipe, but for blocks that need real crisp points and fabric that will need to be precision cut with templates (like orange peel petals) instead of rulers, I think I would opt for Gram's Spray Starch since it makes the fabric a bit stiffer. I just use the vodka and water with no scent. It really does not have much of a smell which is fine by me. Plus my hubby gets excited when I buy the big bottle of vodka because he has an excuse to make some delicious Bloody Marys! Keep in mind that all fabrics treated with starch of any kind are attractive to bugs. It's important that you wash the finished quilt asap after finishing and before use/storage/gifting. 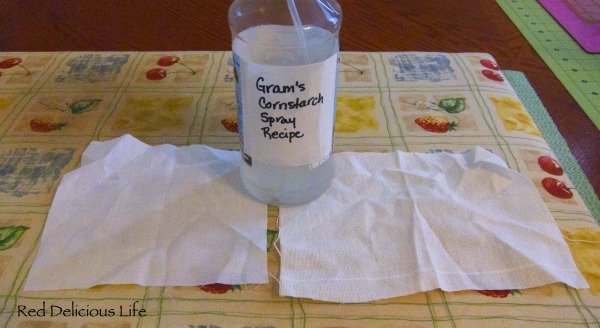 You don't want bugs eating your beautiful quilt because the starch is tasty! This goes for all home-made and/or commercial starches. Ok I have a question. On the lavender is it oil or some other scent product? I've been wanting to do the homemade best press, because I can go through that stuff like crazy. 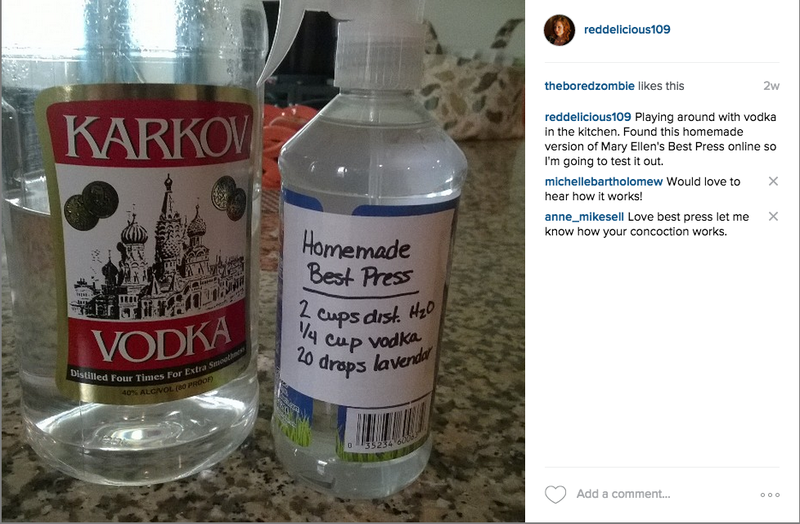 Vodka for spray starch? Wow I would never have thought of that! 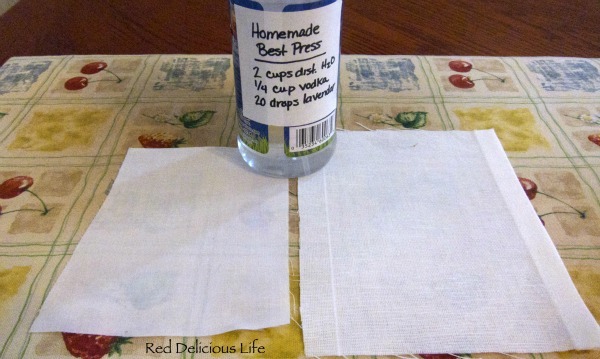 this is new to me vodka in starch, personally i do not starch my fabric but maybe I should give it a try, will ask Helen if she can spare some vodka as I know she likes a tipple now and then! I still have my supermarket can of spray starch. One day I will figure out what to use it for, and then I will need these recipes! 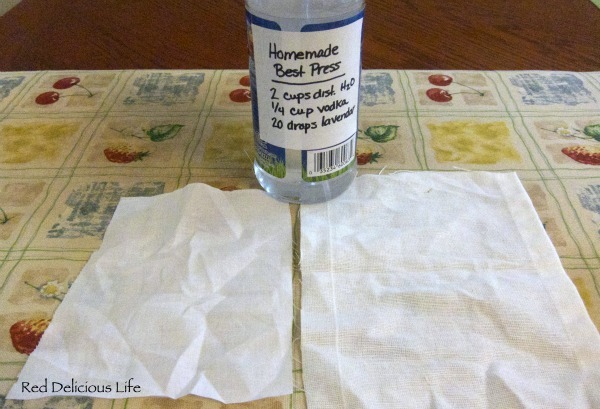 Do you have to use distilled water in the homemade best press? Great question Shauna. The answer is -- maybe. :) It depends on where you live and what your tap water is like. Where I live in Florida, it's not much of an issue to use tap water but when I lived up north in Ohio I had to use distilled because of the high mineral content in our tap water. It would clog up my iron. I'd say, if you're used to using regular tap water in your iron normally, then you'll be fine making the homemade best press with tap water as well. 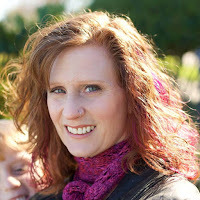 I know this is an old post, but I was so grateful to find it when I was searching for homemade "best press" recipes--a post and review by someone I know and trust! I made a batch using your measurements today and so far, so good! Thanks! !